Send a Friend Request | Last Seen Playing "Handball 16"
Developed by Airtight Games, Quantum Conundrum is a brand new first-person puzzle platformer. When you arrive to visit your uncle, you notice something’s wrong. 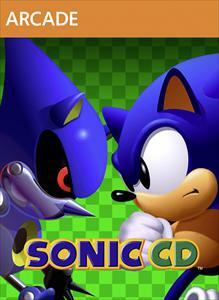 He’s not there to greet you and there was an explosion just as you arrived... more info..
It’s time to usher the past into the future in this enhanced recreation of Sonic CD! Sonic travels to the distant shores of Never Lake for the once-a-year appearance of Little Planet – a mysterious world where past, present, and future coll... more info..
Building on the success of Naruto: Rise of a Ninja, this new action adventure takes the story to a deeper level within the Naruto Universe. Now a respected ninja, Naruto evolves into a mature and strong hero. However, with his new status co... more info.. This game is based on the movie made from the best-selling book, The Spiderwick Chronicles.... more info..
Deadfall Adventures is an action adventure first-person shooter set in exotic locations such as ancient Mayan ruins, forbidden cities, frozen wastelands, and lush, tropical jungles. The Story: The year is 1938. James Lee Quatermain i... more info.. Developed by Rocksteady Studios, Batman: Arkham City builds upon the intense, atmospheric foundation of Batman: Arkham Asylum, sending players soaring into Arkham City, the new maximum security “home” for all of Gotham City’s thugs, gangste... more info..